Whether it is cracking phone or cracking app has become a standard worldwide practice on Android devices. Lucky Patcher is such a tool that is not made for cracking purpose but offers a different feature for manipulating apps and by manipulating doesn’t mean in a wrong way, it just let you do some particular operation which might come in handy in certain situations. Lucky Patcher analyses the apps installed on your device and shows numbers of options that can be carried out. Among many of these options, you will find the option to remove the license verification of many apps. Though these apps are required to be downloaded from the Google Play Store to work. Modifying the app associated permission, create a backup by extracting the APK, removing the Google Ads or being able to download the paid app are the features of Lucky Patcher and naturally we do not support any unlawful behavior universally. So, what precisely does Lucky Patcher by Chelpus do? Lucky Patcher gives you control over the permissions and authorization of the apps installed on your device. When you install the Patcher, you will see a list of all app, just tap on the app and you could see the available actions for the same. You can access earlier mentioned features. Well considering all things, you do require a rooted device to use Lucky Patcher to its full capability, but it not likes it wouldn’t work on an unrooted device just that there will be a limit on its available features. Installing the Lucky Patcher in a device is same as installing any other app. After installing just open the app and get started. Also, you will see certain color code alongside the app title that indicates compatibility when it comes to doing a certain operation. But before we come to this first let’s see how to install the Lucky Patcher. How to install the Lucky Patcher by Chelpus? Make sure that you have given permission to install the unknown app. If your device is rooted, then when you open the app for the first time the SuperSu might ask for root access. If it asks then just allow it. After all this, you are done. Now, let’s get back to the color code indication we were talking about before. Light Indicators and their meaning. Well as we discuss above basically these light or color indicators tell us what particular operations can be done on the specific app. There is six type of light signs. Green: Which means that the app can be registered and disconnected with the Google Play Store. Yellow: Means the app has its specific patch available. Blue: This means the app includes Google Ads. Purple: Means this is a system start-up app. Orange: This is a system app. Red: The app cannot be modified. Now you know what the light or color indicators mean but always be careful. Modifying some apps may get you out of some tricky situations, on the other hand, some modification might be illegal. Association of an app with Google Play Store can sometimes make it complicated to install an app for an external source. But by eliminating the apps permission, you can make it run even on an incompatible device and also transfer it to other platforms. This way you start to tweak your device and modify it as you want. Want to change app permission do it. Need to remove the Google Ads from app do it. Want to uninstall a system app do it. 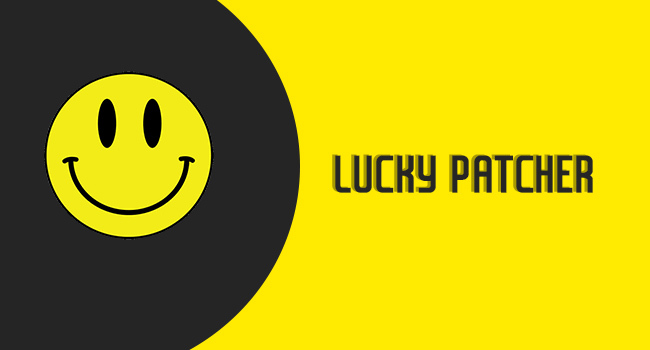 You can do many things with the lucky patcher, so start tweaking and modifying as you need.